Pioneers in the industry, we offer ms return bends from India. Backed by a team of skilled professionals in this domain, we are involved in offering an immaculate array of MS Return Bends. The offered MS Return Bends are manufactured using optimum quality of material and in adherence to the set quality standards. 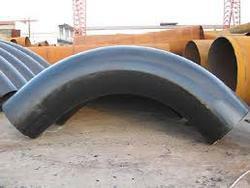 These MS Return Bends are inspected on various quality parameters to make certain its flawlessness. Customers can avail the offered MS Return Bends from us in various sizes, and other related specifications. Note : Price range may vary from Rs 300-25000 per piece as per size variations . Looking for MS Return Bends ?